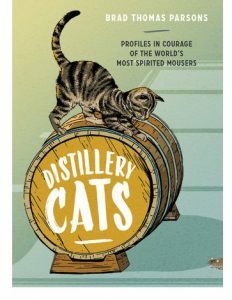 This week’s Read combines two of my most favorite topics: distilleries and cats. What’s not to love? Yes, that is the simple combination of subjects in Distillery Cats – Profiles in Courage of the World’s Most Spirited Mousers by Brad Thomas Parsons – and it is a great as I needed it to be. This fun book takes you into a world you never really knew about and brings it alive with good humor, great illustrations, and celebrates cats and fine spirits the way they should be celebrated. Distillery Cats by Brad Thomas Parsons is available from Amazon and other fine booksellers everywhere.